A sweet little set for your wrist! 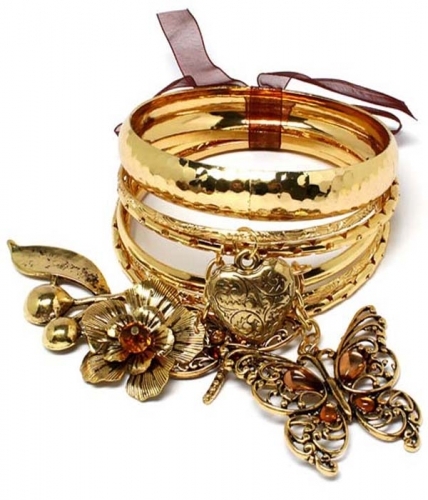 The Lillian is a stackable set of cast gold bangles featuring a collection of fairy tale charms’ and an array of textures, gathered together by a beautiful chiffon ribbon. A suitable partner for the prettiest dress in your wardrobe. Feel confident when you shop with one of the best online jewellery stores australia.